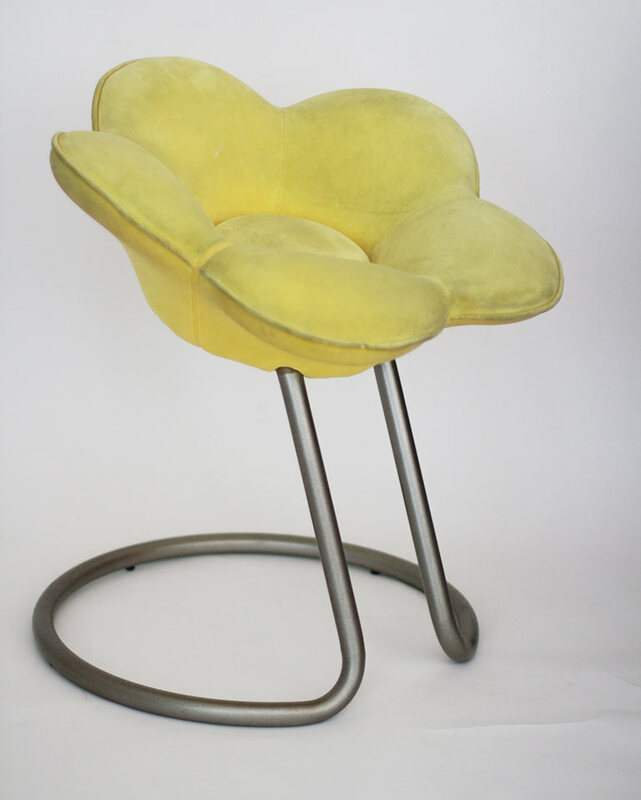 Velvet Soshun stool by Japanese designer Masanori Umeda for Edra from the 90s. 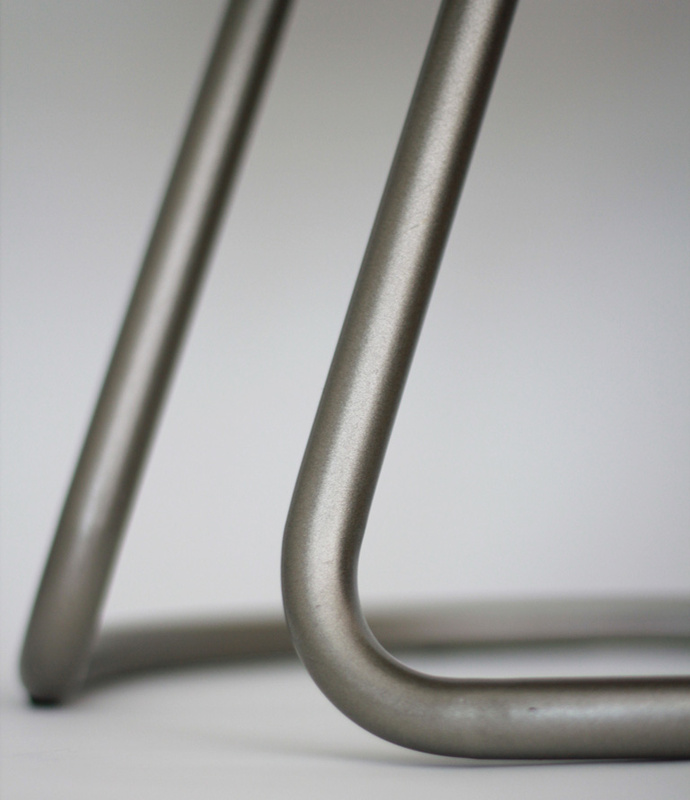 Flower shaped stool with support frame in molded metal, sanded and coated metalic grey. 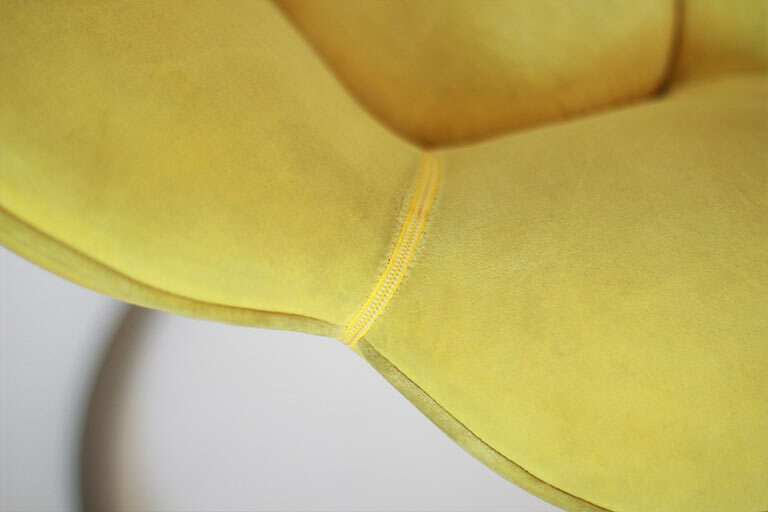 The seat is in flexible and breathable polyurethane foam and upholstered in yellow velvet. In good vintage condition. Masanori Umeda: The Japanese designer Masanori Umeda took his diploma in design at the Kuwasawa Design School in Tokyo in 1962. 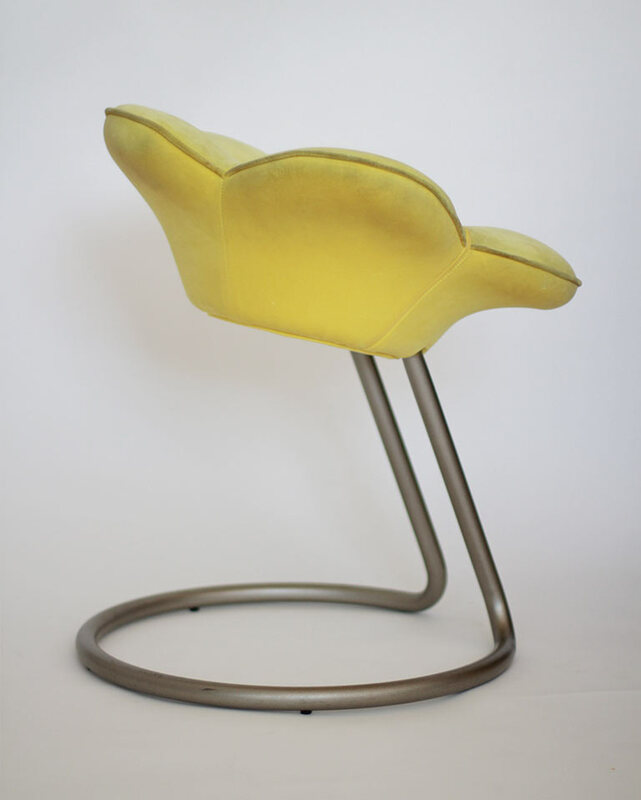 Afterwards he went to Italy, where he worked in the Milan design practice of Achille and Pier Giacomo Castiglioni from 1967 until 1969. From 1970 until 1979, ist Masanori Umeda worked as a design consultant for Olivetti, where he met Ettore Sottsass, who invited Umeda to show work at the first “Memphis” exhibition in 1981. 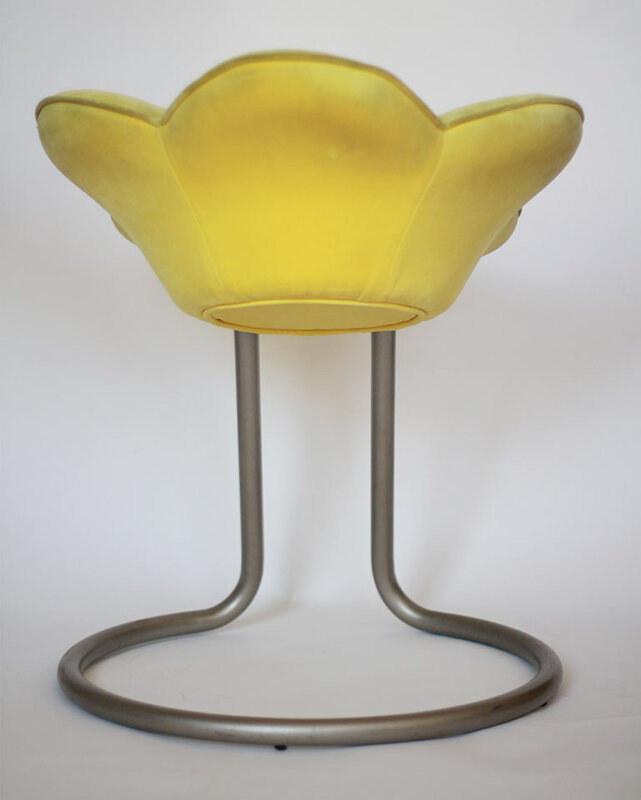 That year, 1981, Masanori Umeda designed “Tawaraya” for Memphis, seat furniture in the form of a boxing ring. The founding members of Memphis are shown in it in a celebrated Memphis group photo. Another Masanori Umeda design for Memphis is “Ginza” (1982), a shelving system in the form of a robot. Masanori Umeda has also designed a great many ceramic objects, including the “Orinoco” vase and the “Parana” bowl (both 1983). 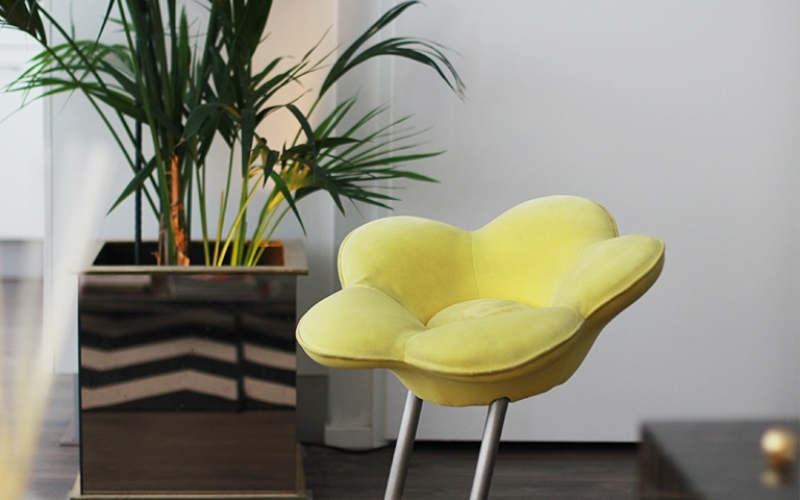 In 1986, Masanori Umeda returned to Japan and opened U-Meta Design, his Tokyo practice. 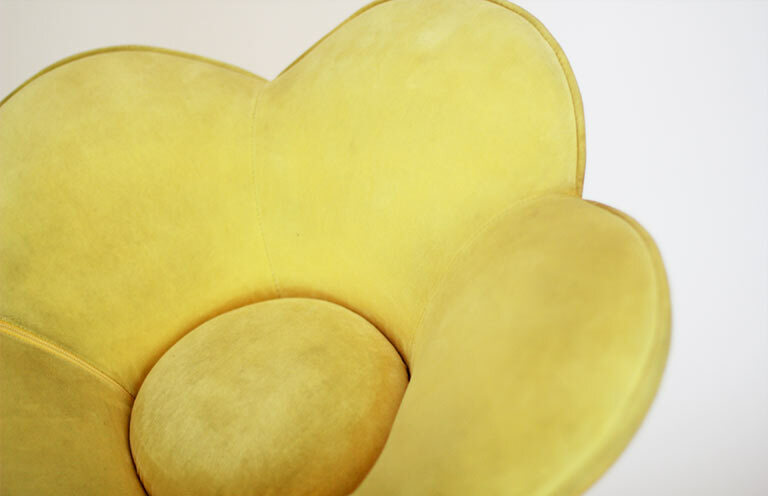 For Edra entwirft Masanori Umeda designed “Getsuen”, “Rose”, and “Orchid”, poetically playful, flower-shaped armchairs, in 1990-91.